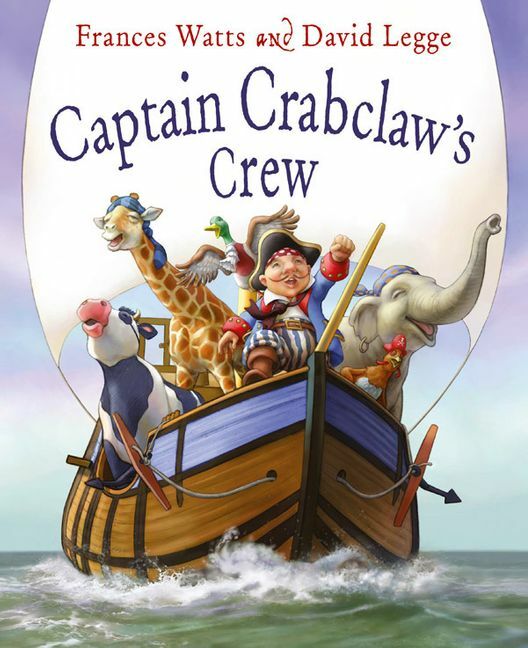 A much-loved pirate adventure - now available in a 'Big Book' format! When Captain Crabclaw advertises for a crew for his new ship, the Speedy Squid, he doesn't expect to get a duck, a cow, an elephant and a giraffe! It's hoist the mainsail and anchors aweigh with the most unusual pirate crew the high seas have ever seen! This rollicking tale of swashbuckling and scrambled eggs will delight landlubbers young and old. David Legge is an award-winning and bestselling illustrator of picture books. His books include Bamboozled, Tom Goes to Kindergarten and Baby Boomsticks. David has collaborated with Frances Watts on four picture books, Kisses for Daddy, Parsley Rabbit's Book about Books, Captain Crabclaw's Crew and The Fearsome, Frightening, Ferocious Box, and together they've sold hundreds of thousands of copies of their books worldwide. David lives in Sydney's west.